In need of private network connectivity for Office 365 & Azure Services? 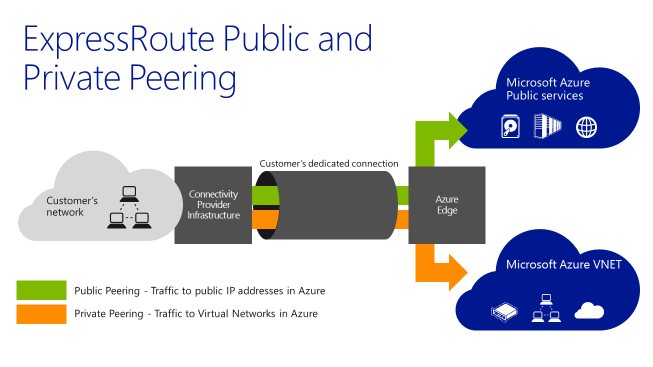 You are looking to use Office 365 or Azure Services, though you are wondering how you can seggregate workloads from travelling over public networks… With ExpressRoute, you are able to ensure that certain services are only accessible via your private virtual networks! So connectivity to virtual machines and cloud services deployed in virtual networks are supported over the private peering path. The same goes for Azure Websites and all other services are accessible. Previous Post Azure ExpressRoute : Exchange or Network Service Provider, which is better for me? Next Post Setting up a DMZ in Azure? Firewall or Network Security Groups?